Bloating can be caused by an imbalance of good and bad bacteria producing methane and hydrogen filling your gastrointestinal tract with gas. 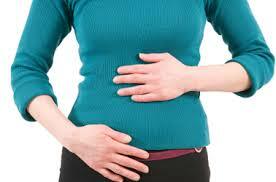 Its a sign of sluggish digestion, food intolerance’s, possibly candida or a parasite. Have you ever thought of getting the cause checked? You would be amazed at the reasons we have found why people get bloated. Using natural medicines prescribed by a Naturopath can treat and resolve the problem.